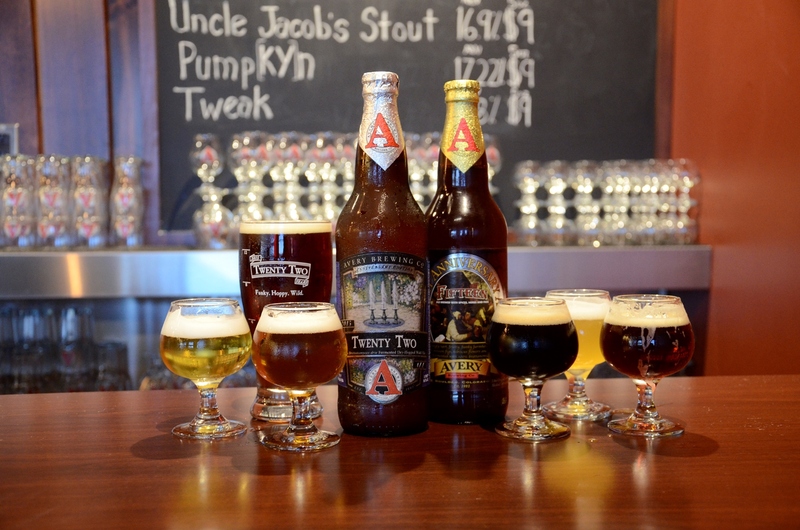 Avery Brewing Company is brewing up quite a celebration in honor of their 22nd Anniversary at their new facility this Saturday, and CEO Adam Avery is pulling out some 50+ beers from the past to celebrate this new venture in Gunbarrel. After 21 years of piecing together 6- and 8-car-garages in an industrial alley off Arapahoe Avenue, Avery Brewing Co. founder and CEO Avery was more than ready to build his dream brewery. In February, Avery opened the doors to his 67,000 sq. ft., $30 million brewery filled with the best brewing equipment available, including four new 850 hl fermentation tanks that nearly doubled the brewery’s capacity. In honor of their 22nd year, Avery Brewing is throwing an anniversary party celebrating their new home, craft beer, Boulder, and their anniversary beer, Twenty Two. The beer label describes Twenty Two as a “100% Brettanomyces drie Fermented Dry-Hopped Wild Ale.” Brettanomyces—the wild cousin of the domesticated yeasts that humans have brewed with for thousands of years—can add flavors in beer lovingly described by brewers as funk, leather, and horse-blanket. Having tried this one ahead of time I can say it is a refined semi-sour dry-hopped ale with a noticeable and unique taste coming from the Belgian drie wild yeast. Avery Twenty Two and Fifteen wild ales. Photo provided by Avery Brewing. Parker said he is also looking forward to revisiting some of the “grape-beer hybrids” he’s made. “We added Cabernet Sauvignon grape must to Récolte Sauvage, and with Ross’s’s’ Melange, we used Chardonnay grape must, which was quite different. And I get to drink them side-by-side? Gunbarrel really is a place where anything can happen! It’s where the unicorns run free,” – Avery Chief Barrel Herder Andy Parker. The party happens this Saturday, Aug. 8 from 4-8pm at the new facility located at 4910 Nautilus Court in Gunbarrel. Details and tickets are available at the brewery and at averybrew22.eventbrite.com. Tickets are affordable, and tasters can enjoy a complimentary 12 oz. pour of beers under 8% ABV, an 8 oz. pour of beers 8-12% ABV and a 4 oz. pour of Avery’s famous barrel-aged beers which average above 12% abv. Get ready to boogie to music by The Drunken Hearts (Alt-Americana) and The Hop Pickers (“Good Timey Mountain Boogie”. Food will include smoked BBQ as well as vegetarian/vegan options. Kids are welcomed with their parents, of course! Sorry, no pets this time. Eatdrinkboulder.com was provided with two comped tickets to attend this event.